In all the documentation I see the jQuery script tag beneath <title> in the head, but then when I go into some other sites (the initializr template is the first off the top of my head), they drop it into the bottom of the body (you know, right before </body>). Which of these two is right? I generally put the scripts at the bottom, before my '' tag and have had few issues with this. I've noticed that this helps performance on older browsers like IE7 a lot more than it does with newer ones like FF3.6, Chrome and IE9. The older browsers only support 2 parallel downloads, whereas the newer ones support something 6 connections. The blocking, as a result, isn't as noticeable. Problem: for performance reason all static content has expiration headers and is cached by browser. When image changes user must refresh cache (Ctrl+F5 in IE). I want images to be cached, but when necessary they must be automatically reloaded. Question: is next approach 'valid'? where v=1234 is version of my site. I do not know whether it is 100% valid to write such things in CSS and I do want browsers to still cache images if version is the same. Do all modern browsers correctly cache data with URL parameters part? This is discussed in rule 3 of High Performance Web Sites: "Add an Expires or a Cache-Control Header". One of the approaches recommended is to version the files rather than the site. What are the best practices for doing DOM insertion? Is it faster to insert large chunks of html vs element at a time in a loop? Does it matter what html you are inserting, or only how big the chunk is? It it faster to insert a table, vs inserting just the rows using the table hack? It's definitely faster to do it all at once. Also check out Steve Souder's blog and his book. I am willing to learn about different architectures of highly scalable web applications like gmail, google, youtube, amazon, orbitz, linkedin, ebay etc. and would certainly appreciate if someone can point me to some online resource/book from where I can learn about details of their architecture and trade offs in selecting a particular design over other. I need to build a windows forms application to measure the time it takes to fully load a web page, what's the best approach to do that? The purpose of this small app is to monitor some pages in a website, in a predetermined interval, in order to be able to know beforehand if something is going wrong with the webserver or the database server. I can't use a commercial app, I need to develop this in order to be able to save the results to a database and create a series of reports based on this info. Depending on how the frequency you need to do it, maybe you can try using Selenium (a automated testing tool for web applications), since it users internally a web browser, you will have a pretty close measure. I think it would not be too difficult to use the Selenium API from a .Net application (since you can even use Selenium in unit tests). Measuring this kind of thing is tricky because web browsers have some particularities when then download all the web pages elements (JS, CSS, images, iframes, etc) - this kind of particularities are explained in this excelent book (http://www.amazon.com/High-Performance-Web-Sites-Essential/dp/0596529309/). A homemade solution probably would be too much complex to code or would fail to attend some of those particularities (measuring the time spent in downloading the html is not good enough). Just curious why there is a performance enhancement when you standardize a site with the css and js in the headers and at the top/bottom of the page. If you're interested in frontend performance, I highly recommend reading High Performance Web Sites: Essential Knowledge for Front-End Engineers by Steve Souders. When designing a ASP.net WebForm application what are some important steps to take (or hacks if you like to use the term) to ensure the best possible performance (in terms of speed, stability, and scalability)? There is a phenominal book on this subject by one of the Yahoo guys, Steve Souders. It taught me a lot. Or you can just watch this video. It's a high level overview of the same information - you can pick up a lot in 45 minutes by watching this. NOTE: This content is not WebForms-specific. It's general best practices for the web, and it is what you need if you are trying to roll out a high performance website. We are running a web service, that is struggling with some pretty high page rendering times especially IE8 (around 20 sec). We are very skilled at building high performing backend systems, but not as skilled at optimizing the frontend. Currently it seems (from newrelic) that page rendering and dom-parsing is the biggest issue. We have tried to optimize js scrips, and that helped a little, but still the page renders terrible slow in IE8, and I have a feeling that some low hanging fruits is out there. My problem is, that I have really no idea where to start, and what would work and if there is some red lambs flashing that I'm not seeing. I need an experienced eye. Can any one help me in the right direction (I'm open for everything!)? I have been trying to create a site (Hosted on x10hosting). So I have been searching how to build a fast site. And I got a page to improve Jquery codes. Below is the link to the page. In that page I read that including Jquery framework codes from Google.com can speed up the site. And I also find out the cause to it, as the Google.com caches the Jquery framework code so that user doesn't have to download the Jquery framework code again and again. So I was thinking that can I do that too with my site. Well I'm using Linux based site. So can anyone suggest a page or a code to cache scripts or images in my site so that user doesn't have to download it again and again. As pekka said fine tuning caching is a very complex field. I recommend beginning with the book "High Performance Web Sites" and follow yahoo performance blog. I am wondering, should I use these - or are they too much of a hassle or have drawbacks that make them inadvisable? I am finding it impossible to find a good suite of tools that aren't just hacked together and now unmaintained and have quirks that make them useless. I just wanted to see from Stack Overflow if this is something I should worry about? I am a bit OCD about code format. 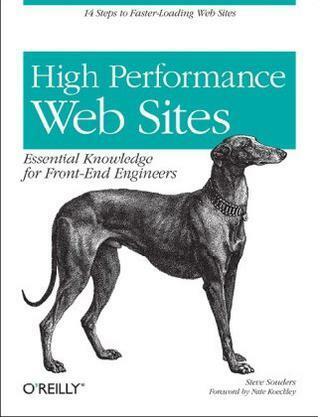 There is a great book on this called High Performance Web Sites. It's an O'Reilly book that takes you through the various steps of client side performance upgrades. It covers the topics you suggest such as CSS and JS file sizes amongst other things. Even though my question is very similar to this one, it's not a duplicate. The images shows the stats from Firebug's NET tab, each request is taking a fraction of a second (all requests add up to 2.9 sec), yet the total time adds up to 6 seconds. How do I figure out which request took the longest time, and where did the extra 3 seconds came from? Also note that the total time is when the page load event fires, so this doesn't necessarily mean that is a white screen for six seconds. Check out the YSlow guidelines for more details tips on performance. I also recommend Building Faster Websites if you're really interested in this subject. For our site, Im using a lot of jQuery - right now Im looking at 340 lines of jQuery code on top of the base library. How much is too much? I will be adding more, when do I start trying to condense the code and eventually move to OOP? The important thing is that before you deploy your website, make sure to minify and gzip your script files as to reduce the size of your script files as much as possible. The best tip I can give you is: buy Steve Sounder's book High Performance Web Sites which is full of easy-to-follow tips. On the account of static images: use a content delivery network (CDN), which means: just place your static content on another server, on another (sub) domain and you have the best performance you can have for static content. The advantages are: no cookies send back and forth (this accounts for much overhead! ), no other HTTP overhead, good timeouts, solid performance when using external CDN and your own server gets much less trafic. There are many commercial (like Amazon S3), but also free, CDN suppliers. use CSS sprites for your (smaller) images. Note: StackOverflow is a fine example website that follows all these tips and download YSlow to test your own website. *Yahoo actively spends a great deal of money researching this and has dedicated, full-time people (including the brilliant Steve Souders) who publish their findings online and in book form. I've seen other approaches that attach a version number or MD5 hash to a JS src querystring. This seems like a major problem that others have solved, and I seem to be doing the right things. How can I get this to work? I added log messages and determined that the querystring method is working. Sorry for the unnecessary question. One of the articles suggests using a querystring with the current time appended. You probably don't want to follow this suggestion as your files will never be cached. Using source control version numbers or an MD5 hash would be better. What am I missing here? Wouldn't the best approach be to create two manifests - one for your own files (which are small and change frequently), and one for libraries (which are large and change infrequently)? First, JQuery is provided by Rails itself, and depending on your layout, it will come from a CDN. So lets look at the libraries that may change over time. What are the scenarios here? A user is visiting the web site (this page) the second time. Normally on the same day, hour or even minute. The whole thing will be cached, there is only one request, that the cached thing can be used, pretty fast then. If all resources (hundreds) would be loaded one after another, there will be hundreds of requests if the cache is valid. A user is visiting the web site the second time, and there was some time in between (lets say 15 days). Only 1 resource was changed, all other could be cached and reused. How probable is that? A user (the developer) is visiting his work during development. No asset pipeline is used, no caching, because every change should be noticed immediately. So I think, from a web site view, only the scenario 3 may be (a little bit) slower, and it is the most improbable one. Normally, the overhead of many, many requests is much more relevant than the size of the requests. If you have the time, just try with a tool that displays it the loading time of all resources. There may be edge cases that one resource will change often, and should therefore not included in the asset pipeline, but normally, every change includes numerous resources, and caching them as one bit blob helps to avoid a lot of requests. Cary Millsap: Thinking clearly about performance (first part) more on the server side, but excellent and especially the start very clear. The two connection limit can be particularly troublesome when you have multiple tabs open simultaneously. Besides "ignore the problem," what coping mechanisms have you seen used to get multiple tabs both doing heavily interactive Ajax despite the two connection limit? The two connection limit is a "suggestion" and this article describes how to get around it where possible. Other Firefox configuration is discussed on this about the about:config capability in Firefox. Also, if you own the website, you can tweak the performance of the site using suggestions form this book from the Chief Performance Yahoo. what are the measures which reflects a highly scalable and with high performance asp.net form. like time in seconds to load the page? time in seconds to do data actions like Add delete. You should look into some simple but useful tips on the Web that are highly recommended a combination of all of these will give you different results. There are a few books also. This is the problem I'm currently tackling, and I can tell you that you will absolutelly love the book High Performance Web Sites by Steve Souders. The first thing you'll find out in the book is that you should make fewer HTTP requests and one of the ways to do that is to put images in so called "sprites" (although you said your designer doesn't use a lot of images, it would still help to push that few images to sprites). To do that you would need some tool (cause doing it manually is just a waste of time), and for this I used compass, and the book Pragmatic guide to SASS was absolutelly great for this topic (it goes straight to the point and shows how to use compass to make sprites - also, I bet once you try SASS, you will never go back to vanilla css). Also, as Midhat mentioned you should minify your js/css/html, but on top of that you should put all your js file to one file (cutting down on HTTP requests the browser has to make), all your css code to one css file. Also, you should put the stylesheets at the top of the page, and scripts at the bottom. Anyways the few things I listed and a total of 14 rules you'll find in Steve's book. so give it a try, you won't be dissapointed. I want to Switch from Web Designer to Front End Developer or web developer PHP, which skill should I get , Is it Easy to switch from Designer to Developer. I have two years Exp. in Web Designing. Please suggest. Or should i stick to the Designing what is the Next BIG thing for Designer after DIV layout. @wazdesign, I didn't come from a design background like you, but I found my niche in Front-End Web Development none-the-less. I started with Standards-based HTML and CSS and then started working back in the day on the Views and Helper functions in MVC frameworks (with a good team doing the controllers, models etc.) Ask a competent Web Developer to give you a basic web-server architecture and process demo. Understand how data from the DB gets onto your user's pages, and all the checkpoints the data goes thru on the way. Once you understand the principles, you can pretty much work with any technology after tooling up with the syntax. Many web developers are probably aware of various website optimization techniques described in this Yahoo Developer Network article and/or Steve Souders' book. Most of these techniques are very simple, yet bring about huge difference to the downloading time of most web pages. As simple as they are, applying some of these rules again and again in all .NET web applications can easily become a tedious task. Combres automates many steps that you would have to do yourself when applying many optimization techniques in your ASP.NET MVC and Web Form applications.